General Atomics Aeronautical Systems announced May 25 that its new MQ-9B SkyGuardianTM remotely piloted aircraft, a “Certifiable (STANAG 4671) version of its Predator® produce line had set a company record with the longest endurance flight of any Predator-series aircraft. Configured in an Intelligence, Surveillance and Reconnaissance (ISR) “clean wing” mode, the company-owned MQ-9B aircraft took off May 16 from Laguna Airfield at Yuma Proving Grounds, Ariz., with 6,065 pounds of internal fuel. 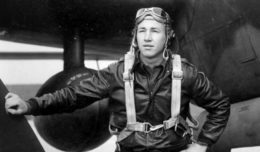 The aircraft flew between 25,000 and 35,000 feet for the duration of the mission and landed 48.2 hours later on March 18 with 280 pounds of reserve fuel. The company’s previous endurance record was held by Predator XP, which flew 46.1 hours in February 2015. 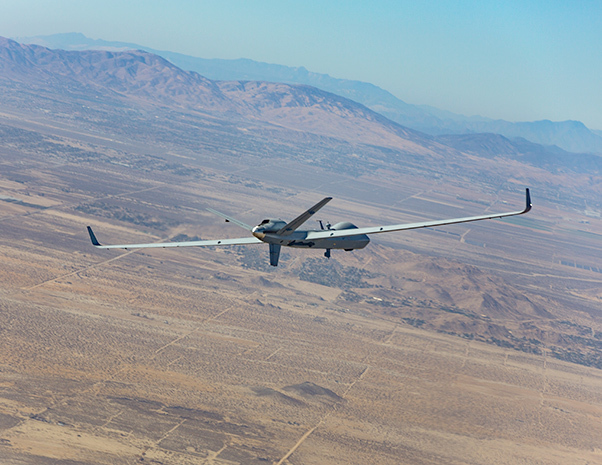 Development of MQ-9B began in 2012 as in internally-funded effort. The endurance flight is the continuation of an exceptionally efficient test program that began with the successful first flight last November. GA-ASI is currently building there company-owned aircraft and plans to deliver the first production aircraft next year. 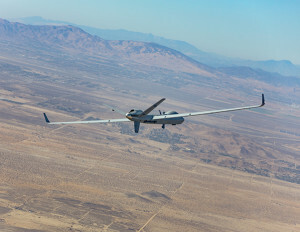 The SkyGuardian version of the “Certifiable” Predator B has been designed to operate under the stringent of airworthiness requirements of non-military airspace. The weaponized variant of the system is being acquired by the United Kingdom’s Royal Air Force under the Protector program. A maritime patrol variant, SeaGuardian TM, is designed to support open-ocean and littoral surface surveillance. All there variants are designed to fly in excess of 35 hours with airspeeds up to 210 knots and reach altitudes of more than 40,000 feet.